So I finally had the chance to update this thing! After all the assignments, essays, exams (almost done), hours of volunteer at EAM and work, I felt like I needed to reward myself. 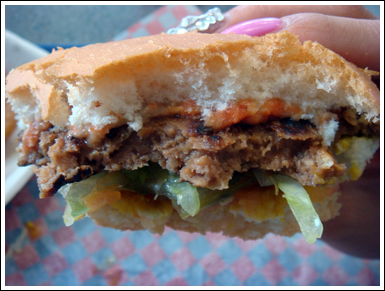 I was having a horrible day, and I felt like nothing was going to cheer me up, unless I had a burger (it had been too long). 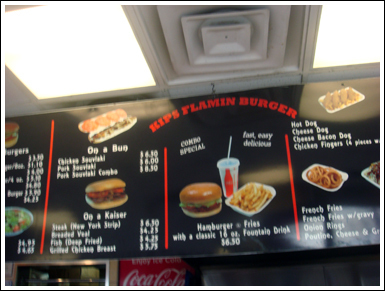 Funny story, we were actually on our way to another burger joint out in Pickering, but couldn't find it... but we passed by Kips Flamin Burgers, and figured why not? If you passd by Kips, too, I'm sure you wouldn't be able to ignore their big sign, neither... so big, I couldn't actually fit the whole thing in a picture without looking like an ant! 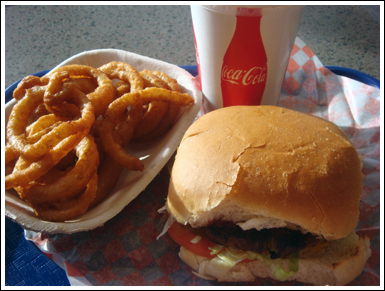 So rumour has it that owners of Kips Flamin Burgers is the same of that of Johnny's out at VP & Sheppard. 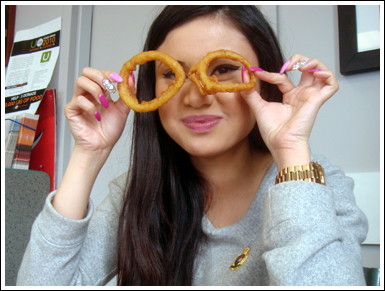 If so, I could kind of taste the resemblance, but I must admit, the burgers, fries and onion rings at Kips were much better. Maybe it's because it was less busy, therefore I felt less rushed and pressured to just grab my food and go. 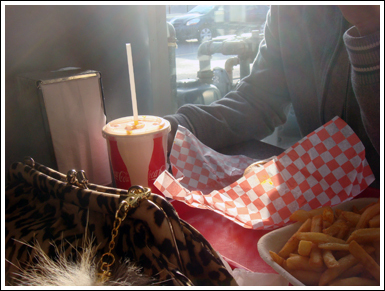 I actually got to sit down (YES they had seats inside) and enjoy my meal, and observe my surroundings. 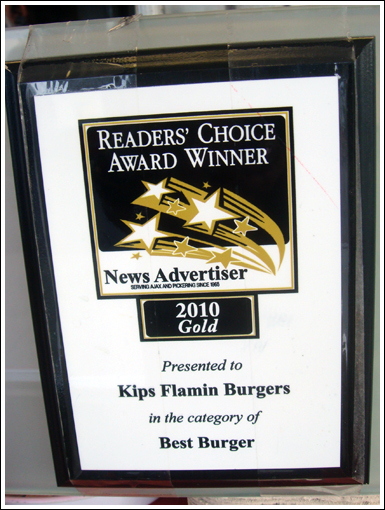 I loved the fact that Kips is a family-owned business (I'm pretty sure the whole family was working at the time!) and that they also served dessert... which I will definitely try next time. 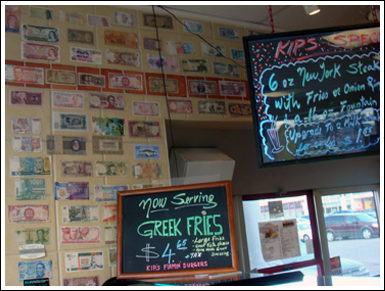 My friend really enjoyed this burger joint, especially their fries, so if you're ever out in Pickering and are craving a delicious home style burger, you should definitely go to Kips. You won't be disappointed! 4 stilettos.